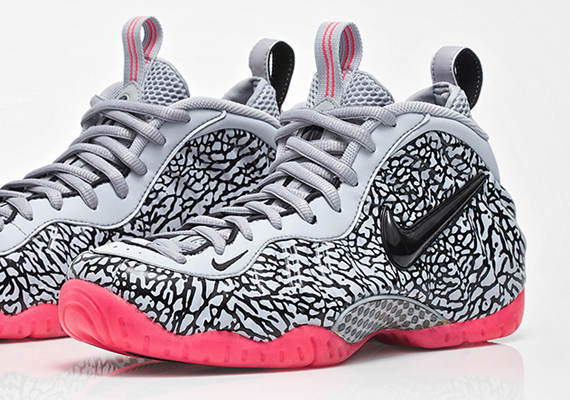 The Nike Air Foamposite Pro “Elephant” should be showing up next week as the latest pair of graphic Foamposites. While they do have the elephant print thing going on, their port of that print isn’t complete in that it is just a print rather than an actual embossed pattern like the one that showed up on the Jordan 3. Aside from those crackled lines the shoes obviously don’t have much in common with the Jordan 3 – no “Bred” combo here. Take a look at the official images on the Elephant Foams below and give us a shout in the comments if you’re copping.